Understanding the critical importance of proper networking, SimpleFX unveiled its new affiliation software. Partnering up with Unilink, the platform is to provide reliable, trackable, and entirely transparent solutions in an attempt to make its affiliates’ work a lot easier. SimpleFX is an award-winning cryptocurrency and forex broker with a high-end mobile trading app, making it easier for both experienced and beginner traders to participate in the market. The company doesn’t show any signs of slowing down, as it has recently unveiled its affiliation software which makes the work of its affiliates a whole lot better. It goes without saying that the work of affiliates is particularly lucrative for both ends of the relationship. However, in order for it to function properly, it needs to be able to rely on strong affiliate software. SimpleFX has integrated a comprehensive 3rd party affiliate panel courtesy of Unilink. Click on the menu toggle (☰) in the upper left-hand corner of the page. Click on the Affiliates link in the drop-down menu. Click on the green View Affiliate Panel button on the right side of the page. As an affiliate, you will have access to a dedicated panel that will allow you to effectively run affiliate campaigns and monitor their results. The interface is particularly intuitive and user-friendly to work with. The software boasts splendid performance and allows for high-end tailored tracking of results in real time. You will also get the perks of actionable statistics in a separate 3rd party dashboard brought by Unilink. Ultimately, these capabilities are intended to substantially increase your conversions and enable each affiliate to bring in more profits. To access your affiliate dashboard, click on the green Panel button on the right-hand side of the page, shown in the image above. If it is your first time accessing the dashboard, you will see a very short 4 or 5-slide presentation detailing some of the dashboard’s functionality, followed by a link to your dashboard. Every time thereafter, you will just be taken directly to the dashboard. Every trader knows that a well-made and utility-oriented dashboard can mean the world for profitable executions. The one developed by Unilink is as comprehensive as it gets. As an affiliate, you will get tons of tools and perks at your disposal, as well as convenient representation of truly important data. Campaign data is presented in separate graphs for stats such as views, clicks, conversions, revenues, and even multilevel conversions and multilevel revenue. There is even an interactive world map that will let you see what part of the world your clicks, views, revenue, etc… are coming from. SimpleFX provides robust affiliate payouts, enabling every affiliate to earn as much as 25% of the trading spread from clients they refer to the platform. Additionally, affiliates can earn up to 5% of their referred clients’ revenue shares. The platform offers specific, crypto-friendly affiliation. That means affiliates can convert their affiliation revenue from fiat and withdraw it using Ethereum, Dash, Litecoin, Bitcoin, and Bitcoin Cash. To help maximize affiliate earnings, SimpleFX also offers a broad range of marketing materials, including more than 40 different banner sets, each one of which comes in a variety of sizes and translated in a number of languages. There is also an easy-to-use campaign manager enables each affiliate to carefully manage his or her own campaigns. 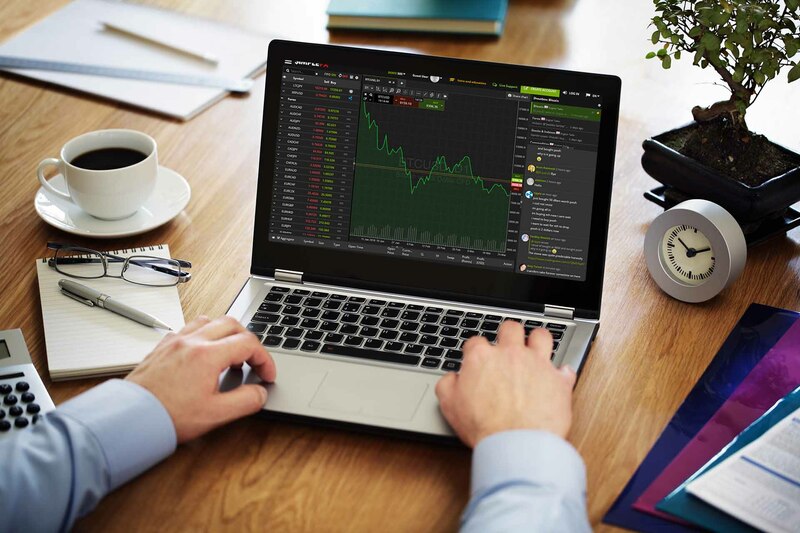 Understanding the importance of the community’s feedback, and aiming to optimize its tools to cater to its users, SimpleFX remains entirely open to suggestions. Should you feel like something is missing or you think there are other features that could be incorporated into the affiliate panel, you can send a message to [email protected]. Do you think SimpleFX’s new affiliation tool will make it easier for partners to up their game? Don’t hesitate to let us know in the comments below!